Millie has been a nurse at the Clinic for Special Children since 2013. She started as Dr. Strauss’ nurse, but found that she had a real interest in research and therefore, became the Clinic’s Research Nurse in January of 2018. While she is no longer seeing patients and families as they come in for appointments, she still has plenty of contact as she helps the Research Department find new and exciting opportunities to improve patient care. Millie’s educational credentials include a BA in Biochemistry from Immaculata College and a BSN from Villanova University. She also has an associate’s degree in nursing from the Lancaster Institute of Health Sciences. She plans to continue her education and obtain a master’s degree in nursing. Prior to working at CSC, Millie worked for 18 years at Lancaster General Hospital. She worked 17 of those years on the Pediatric Unit, 12 years as a nurse, where she cared for many Clinic patients. 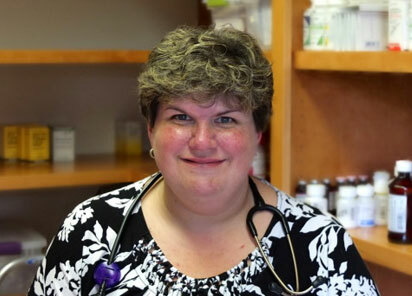 She is a Certified Pediatric Nurse, and is also certified in Pediatric Advanced Life Support (PALS). The Clinic is a unique blend of medicine and research, and it allows the staff to work with the patients and their families to alter the course of their illnesses in a way that makes their lives better. What a privilege to be a part of such a great experience!